In High School Football America’s final rankings of the 2016 season, released on Christmas Eve, seven teams from the state found themselves ranked. Bishop Gorman, which defeated Class 4A state champion Cocoa and Class 7A state champion St. Thomas Aquinas in triple overtime earlier in the season, finished as the ‘mythical’ National Champion for High School Football America. 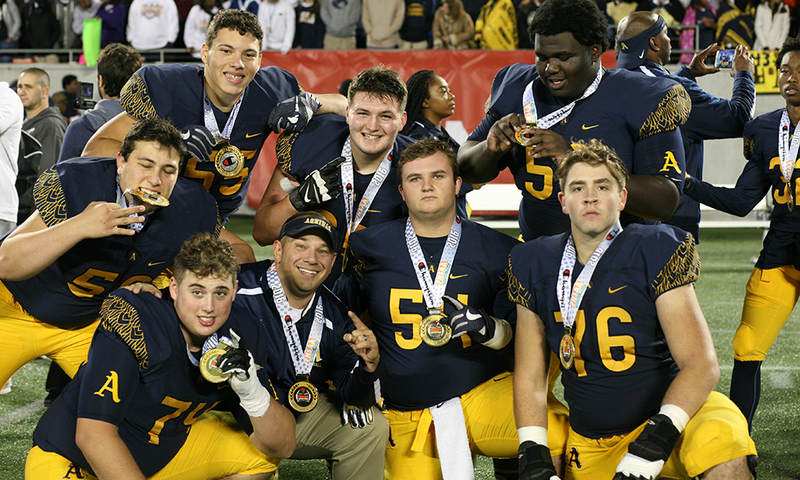 The rankings for High School Football America are created with their proprietary algorithm developed by founder Jeff Fisher and has now been in use for several seasons. High School Football America’s rankings are just one of at least five to six sets of national rankings that will come out during the next week to officially cap off the 2016 season.